There are strong indications that the Americans with Disabilities Act may not provide meaningful protection against genetic discrimination in employment, nor provide sufficient safeguards against the use of genetic testing in the workplace. As a result of the ADA statutory language, recent Supreme Court decisions narrowly construing the ADA definition of “disability” and the lack of deference the Court has shown to EEOC regulations in this area (in fact recent decisions by the Supreme Court have caused the EEOC to revise its interpretive guidelines to Title I of the ADA), there is a substantial risk that asymptomatic individuals are not protected from genetic discrimination in employment under the Americans with Disabilities Act. Coverage under the ADA requires a current disability and it is clear that the ADA would potentially cover genetic discrimination in employment after a disease with genetic origins has left its host “disabled”. The same analysis would be undertaken for individuals discriminated against because of a “known association” with a person deemed to be disabled under the ADA (such as a parent/child relationship). Yet individuals that are asymptomatic, that merely carry a genetic marker or mutation that has not manifested itself are not currently disabled. They are unlikely to be impaired in a major life activity. In fact, many people who test positive for genetic mutations associated with certain conditions will never develop those conditions at all. Many individuals identified as having a hereditary condition are, indeed, healthy. The minority of commentators that have argued that the Americans with Disabilities Act encompasses genetic discrimination have based their theories on the third prong of the ADA’s definition of disability – that the individual is “regarded as disabled.” The “regarded as” standard is a subjective one based entirely upon the mindset of the employer. Unfortunately, two distinct hurdles remain for an analysis of genetic discrimination as perceived disability. There is no indication that a perceived “future” disability (as compared to a perceived current disability) is covered by the ADA. As further illustration of this point, an employer who discriminates against an individual based upon their genetic profile is doing so because of future concerns, often unjustified, that the individual will be an expensive liability to the employer not because the employer perceives the individual as currently disabled. Additionally, there is a lack of evidence that even if such a situation were covered by the ADA that the language of the ADA equates discrimination based upon pure cost factors as discrimination based upon disability. However, as Justice Stevens pointed out in the Sutton dissent, many individuals who are missing a limb can function effectively with the aid of a prosthetic device.18 According to the majority’s reasoning in Sutton, they would not be protected under the ADA.19 Surely this was not Congress’s intent. The Sutton majority was simply tailoring its arguments to fit its desire to interpret the ADA narrowly. The foregoing examples indicate that the court is clearly of the mindset that the ADA was not intended to protect large segments of the populace. In contrast, every citizen of the United States has at least several genetic mutations which may at some point be linked to disabling conditions. Thus, it follows that the Supreme Court is highly unlikely to find that the scope of the ADA’s purview encompasses asymptomatic genetic discrimination. 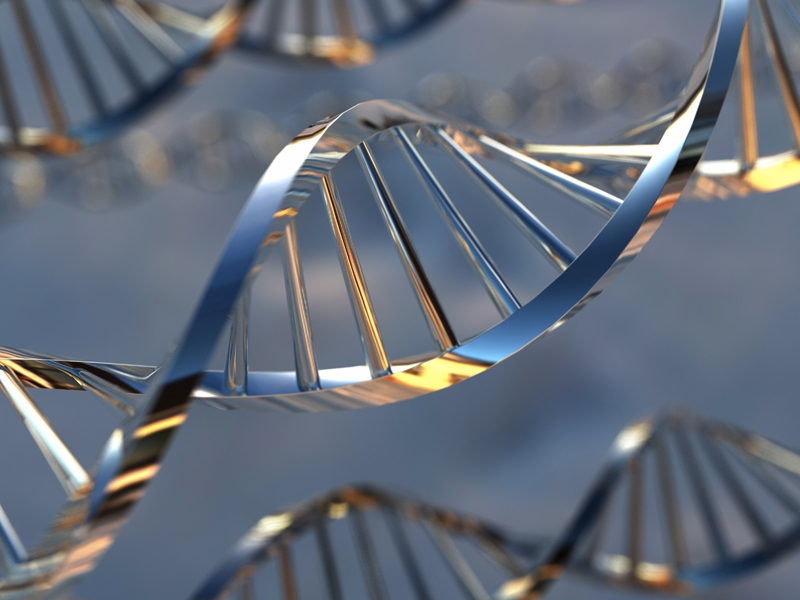 The potential sufferers of genetic discrimination are not the small segment of the general populace the Court envisions as being the intended beneficiary of ADA protection. We are all potential victims of genetic discrimination. If the courts are finding that the sufferers of these maladies are not “disabled” under the ADA, it is virtually inconceivable that they will determine that someone who has a genetic marker for disease, or who is a carrier of some disease that they themselves will never get is covered under the ADA. It is up to the legislative branch to close any gaps. As in Sutton, the Supreme Court in Bragdon v. Abbott did not base its decision upon the “regarded as” prong of the ADA’s definition of “disability”.26 The plaintiff in Bragdon was a woman who was infected with the HIV virus, but was asymptomatic and was suffering no overt, actually disabling symptoms. It would have been the logical approach for the Court to take that because she was asymptomatic, she was “regarded as” being disabled. Indeed this was the approach that most legal commentators expected the Court to take. The Supreme Court chose instead to base its decision on the unprecedented ground that she was substantially limited in the major life activity of reproduction.27 In so doing the Supreme Court went well out of its way to find indications however small that there was some minute biological changes that would allow them to find that she was “currently” disabled. The results are strong indications from the Court that “future” disabilities would not be found to be covered by the ADA and the sense of hostility that the majority of the Court feel towards the “regarded as” prong of the ADA definition of disability. In light of how Bragdon was decided, a small minority of people who carry a genetic marker for disease may fall within Bragdon’s parameters. For example, people who have the genetic marker for Huntington’s disease (a genetic condition with an almost 100% fatality rate), but who as yet have no symptoms, are in a situation similar to Ms. Abbott’s. They will almost certainly die from Huntington’s disease after it presents itself, yet they are asymptomatic until it does present itself. This condition may be considered a “disability” under Bragdon, but as indicated previously, even this is by no means a certainty. There are further distinctions between people who are infected with HIV and people who have a genetic marker for disease. The HIV virus, even today, almost always ultimately results in the death of the infected person. In contrast, a person with a genetic marker for disease may not ever manifest the disease itself. Also, it is important to note that the Supreme Court was influenced by the fact that in its committee report on the ADA, the House specifically noted that . “persons infected with the Human Immunodeficiency Virus are considered to have an impairment that substantially limits a major life activity, and thus are considered disabled under the first test of this definition.28 In contrast, the ADA does not specifically discuss genetic conditions, and the Congressional Record gives little indication as to whether Congress intended the ADA to cover asymptomatic genetic conditions at all. One situation the Americans with Disabilities Act does not address is when a person is an unaffected carrier for a recessive or x-linked mutation. This person carries a mutation, but will never manifest the genetically- based disease. However, if the carrier were to mate with another person who was a carrier of the mutation, there would be a twenty-five percent chance that their offspring would carry a mutation that might ultimately manifest as the disease. The ADA is silent on how to treat such a carrier. The most serious flaw in the ADA, however, is that it does not prevent employers from obtaining genetic information. Under the ADA, an employer who has made a “conditional job offer” is free to conduct unlimited medical investigations and unlimited medical and genetic testing of the applicant.31 This includes collecting information that the employer can not legally use. This loophole allows employers to learn about an applicant’s genetic status without violating the ADA. Once an employer knows that a potential employee is likely to require expensive medical care, the employer can find some excuse not to hire that person. Moreover, this information could also be used to predict the health risks of an individual’s family members – creating the potential that genetic information could be used to protect against future generations of workers as well. This injustice can only be corrected by keeping genetic information out of the hands of employers. House Report No. 101-485, Part 3 at 45. Senate Report No. 101-116 at 24 (1989). 29 C.F.R. 902.8(a).v See Sutton v. United Air Lines, Inc., 527 U.S. 471 (1999); See also Murphy v. United Parcel Service, 527 U.S. 516 (1999). See Public Employees Retirement System of Ohio v. Betts, 492 U.S. 158 at 170(1989). See Mohasco Corp. v. Silver, 447 U.S. 807 at 826(1980). See Christensen v. Harris County, 529 U.S. 576 at 587 (2000). See Miller testimony, Committee on Health, Education, Labor and Pensions at 3-4 (July 20, 2000). See Sutton, 527 U.S. 471 (1999).